It’s always special to receive a “Best of” award. But when that award comes from your own customers, it makes it extra meaningful. 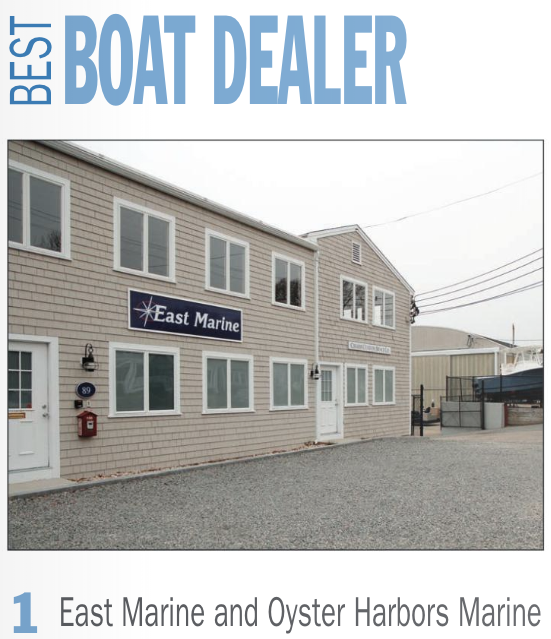 Oyster Harbors Marine was recently named as the Best Boat Dealer of the Upper Cape in the annual Best of the Upper Cape magazine. The magazine is published by The Enterprise, which owns local newspapers in Falmouth, Bourne, Mashpee and Sandwich. The award was not decided upon by some small panel of experts. Instead, it was voted on by the Cape Cod residents who read those papers. Knowing that the award was given to us by The Enterprise’s readers – those locals who are our actual customers – gives special meaning to this recognition. If you’d like to find out what makes us so popular among Cape Cod boaters, come visit us at one of our Oyster Harbors Marine locations.